The 2016 Japan Trip Pilgrims at Rinso-in Temple with Suzuki Shunryu Roshi's son Abbot Hoitsu Roshi, his wife, grand-daughter-in-law and grandson. We’ve been back from Japan almost a month now. 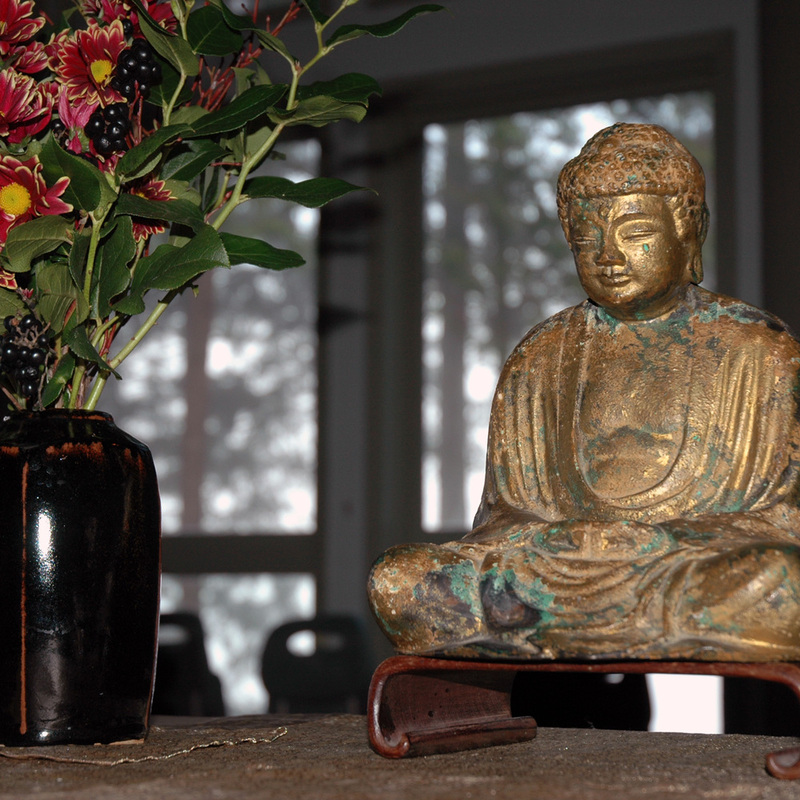 Barely a week after we got back, we had a wonderful ZenYU day-retreat here at Blue Mountain Zendo, followed by Mountain Rain’s annual potluck and general meeting. And last week we attended Samish Island sesshin, Red Cedar Zen’s yearly week-long sesshin with Norman Fischer. So we’re still reflecting on our time in Japan and the mysterious connection we have with that country, its people, landscape and culture. We shared some reflections in our talks on the day of the AGM, which are posted on the website if you’d like to listen. And we’ll probably have more to say in the weeks to come. We want to thank our wonderful fellow pilgrims who shared so openly their wonderings as we wandered, and those who kept the practice going so faithfully at the zendo in our absence. It’s good be home again.